Join us as we take a stab at the revival of a series with open-world elegance. We’ll be playing through some of the first moments of Red Faction Guerrilla, showing you what this classic(ish) game is all about. 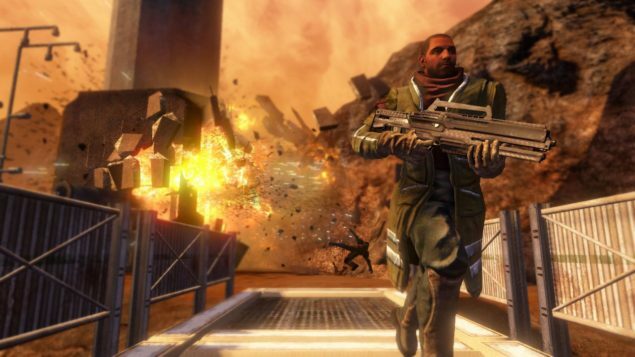 Help us rise up against the tyranny on Mars in Red Faction: Guerrilla. I wanted to bring an even more retro atmosphere today, but Omikron wasn’t playing particularly nice, so instead we’ll be moving up a decade to 2009. Red Faction Guerrilla brought back the Red Faction story yet evolved it suitably. The underlying narrative might have been lacking a bit of pizzazz, but the open-world nature and third-person action were suitably exciting. Come join us as we seek to destroy the EDF and the hold they have on Mars. Can a small time mining engineer really bring forth the change that Mars needs? Lets find out in Red Faction: Guerrilla! Could We See Destiny On PC in the Near Future?